One area I really like is the new addition to my rigging page. 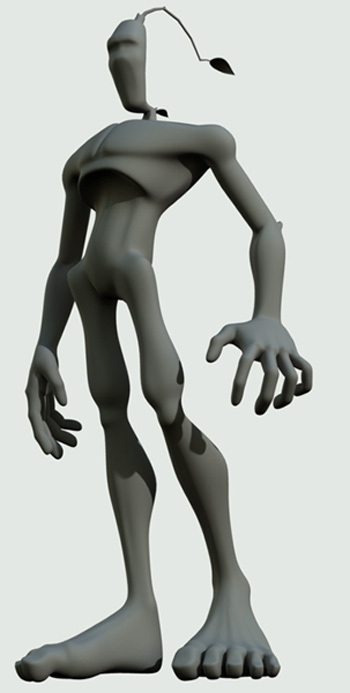 It is a character from my thesis that is still in production. The rig itself is pretty much done, just some cosmetic stuff yet to do. A big thanks to Cheri Fojtik for helping me set up the lighting rig that makes this simple default lambert look so good! Here is a finished version of the Subtle Acting piece that I will use for my demo reel. Fixed up some lighting and texture issues and even added some 3d motion blur to soften the edges. Fixed up a bunch of stuff here. The new lighting really makes a difference and I changed up some subtleties in the textures of the characters. Way more readable. Here's the latest. Let me know what you think. The background elements might be a little bit too busy, but not bad so far. I really needed to see a full render with the environment to get a better idea. Here is the latest version. I edited some motion for a more natural feel and added some detail movements.